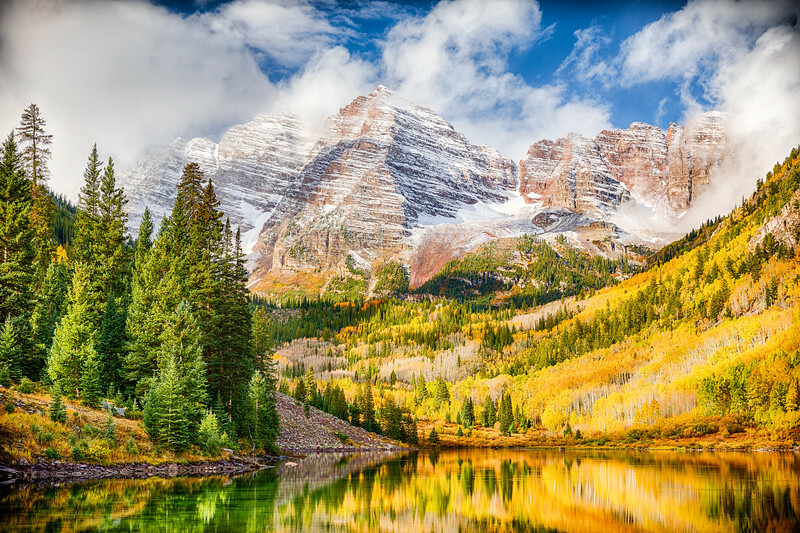 A clearing fall storm reveals a dazzling Colorado landscape. The image was made using a Canon EOS 5D Mark IV digital body and a Canon EF 24-70mm f/2.8L II USM lens. At a focal length of 55mm, aperture of f/7.1 and ISO 100, seven exposures made at shutter speeds from 1/640 second to 1/10 second were combined to expand dynamic range. The raw image files were processed using Adobe Lightroom, Nik HDR Efex Pro 2, and Nik Color Efex Pro 4.